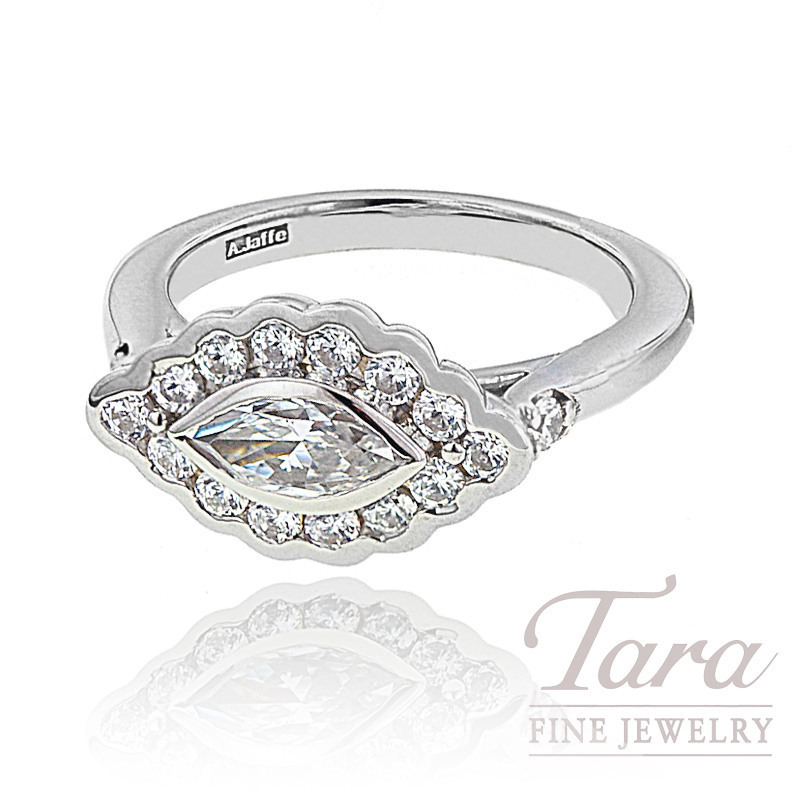 This beautiful A. Jaffe diamond ring sparkles with a vintage flair and is crafted of 18k white gold. Featuring .98 tdw of diamond radiance, this gorgeous A. Jaffe diamond ring is available to you in 14K or 18K white and yellow gold, as well as platinum. Call, email, or click reserve to receive details on pricing and availability! Tara Fine Jewelry Company offers the full line of beautiful and innovative A. Jaffe designs along with the most notable names in jewelry. Whether you are searching for the perfect ring to "pop the question" or looking for a fine Swiss watch from Rolex, Breitling or Omega, Tara Fine Jewelry Company is Atlanta's jeweler for high quality jewelry and luxury timepieces and is dedicated to offering the finest selection and service.